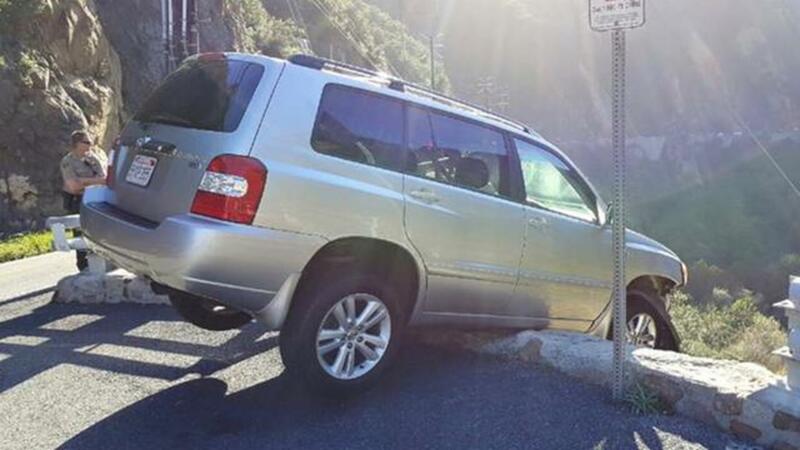 A driver in Malibu narrowly escaped tragedy twice in a very short amount of time. The motorist was cruising along Malibu Canyon Road on Saturday afternoon when he lost control of his SUV and headed towards a cliff. Miraculously, his car stopped short going over the edge, and he was able to exit the precariously balanced vehicle. Though he escaped one danger, he walked right into another. Disoriented, the man wandered into traffic and was hit by a tour bus, reports Sky News. California Highway Patrol arrived to find him responsive and breathing. After being treated at the scene, the wounded individual was taken to a hospital for further care. In posting to its Facebook page about the incident, the California Highway Patrol emphasized the need for caution when driving, "...through the canyons of our beautiful area..."